Tags: Audacity tutorials, Audio mixing EQ tips. 1.) Install swh-plugin in your Linux computer. Follow the installation steps of swh-plugin tutorial here.:. Follow the procedures under “Assuming you are using Ubuntu…, follow the rest of the steps”. 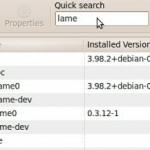 Make sure you have successfully installed the plugin in your Linux computer. 2.) 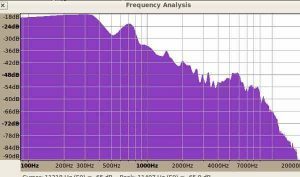 Launch Audacity and load a sample WAV audio file. The most important EQ effect is the “Triple band parametric with shelves”. 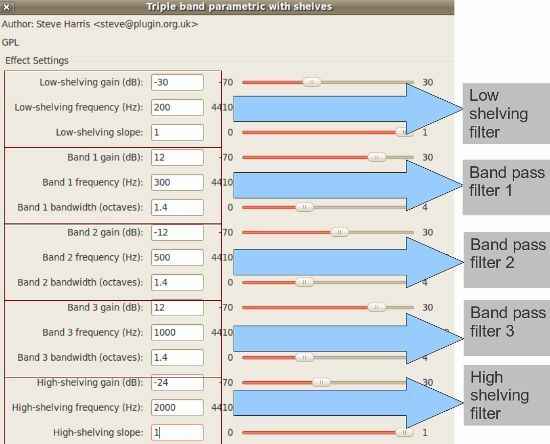 To use this effect, go to Effect– Plugins 106 to 114 – Triple band parametric with shelves. 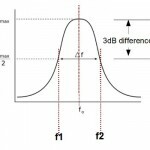 This EQ effect can be used to do some parametric equalization(band-pass filtering) , high shelving and low shelving filtering tasks which are very important in shaping up the audio when doing mixing. 3.) To demonstrate the usage of this plugin, lets first define what needs to be set using this effect. 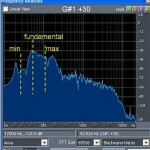 This is very helpful for beginning users of this plugin who does not have strong background in audio engineering. LOW SHELVING filter = this filter will allow frequencies ABOVE the “low shelving frequency” cutoff point to pass through unaffected. 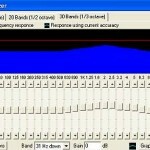 This filter will ONLY reduce or boost signals of frequencies BELOW the “low shelving frequency” cutoff. 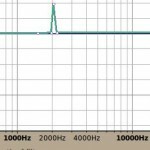 This works similarly to a high pass filter except that a high pass filter drastically cuts the frequencies below its cutoff. The amount of reduction and boost for a low shelving filter depends on the “low-shelving gain” and “low-shelving slope”. 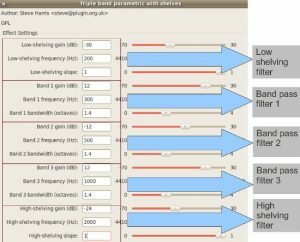 Combination of high amounts of low-shelving gain cutting decibels and high low-shelving slope drastically removes signficant amount of signals below the low shelving frequency cut-off. HIGH SHELVING filter = this filter works in the opposite of low shelving filter. This will allow frequencies BELOW the “high shelving frequency” cutoff point to pass through unaffected while it ONLY reduce or boost signals of frequencies ABOVE the “high shelving frequency”. 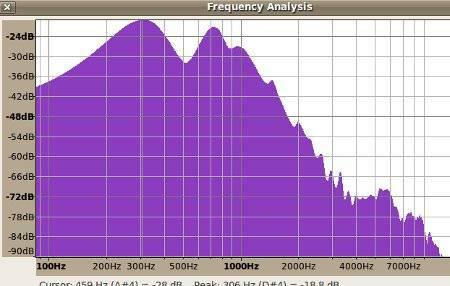 This behaves similarly to low pass filter only that low filter drastically cuts frequencies above its cut-off.